BACK TOGETHER AGAIN AFTER 50 YEARS! 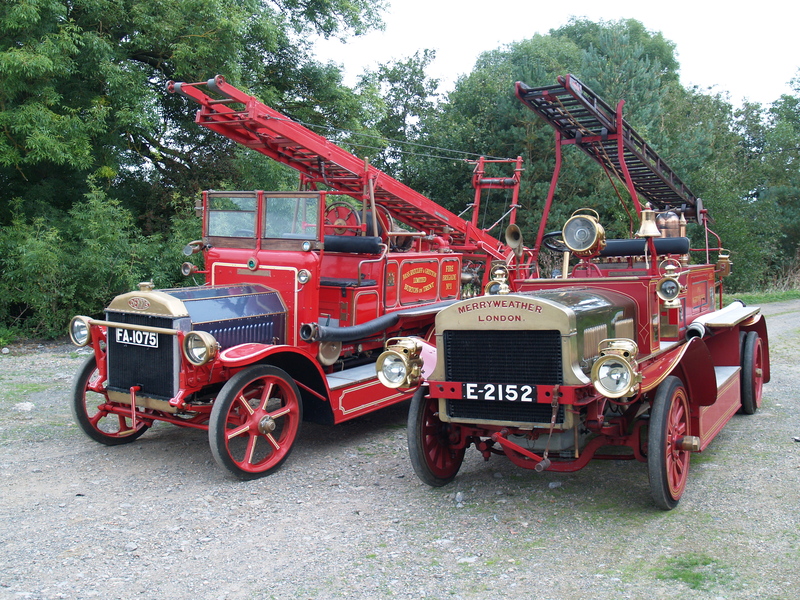 FA1075 and E2152 worked together at the Bass brewery for over 40 years from 1921. 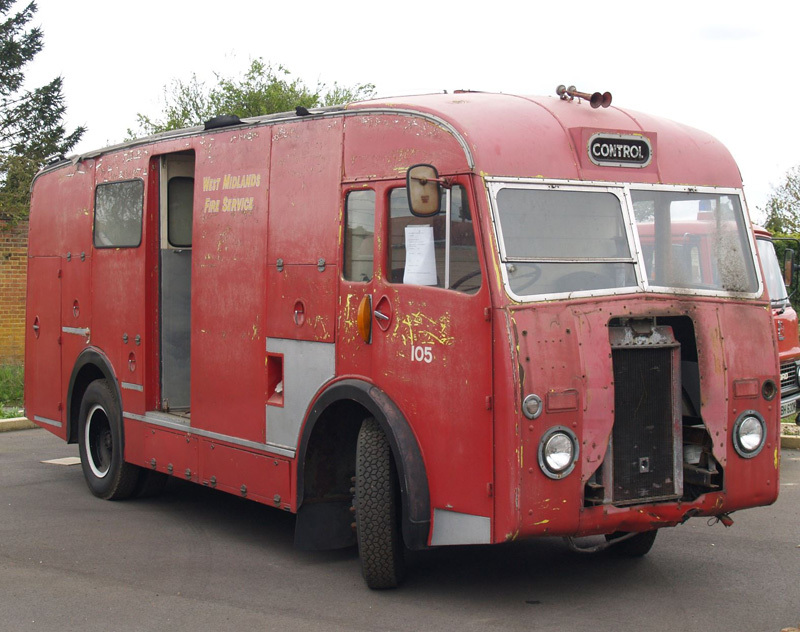 In 1963 they were abandoned to Langley Mill commercial vehicle breakers but were saved before being cut up. They then went their separate ways and now for the first time in 50 years they are back together again. There has been a period of rapid expansion in the fleet this year. The first to arrive was VVC898 the ex-Coventry F12 Emergency Tender / Control Unit. In need of a great deal of work after a disastrous 'restoration'. 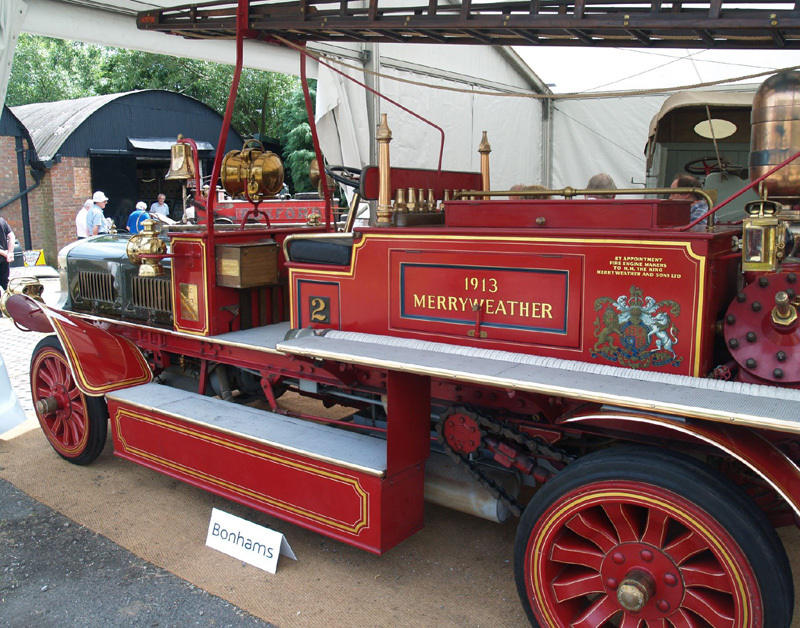 Next to follow was the magnificent 1913 Merryweather from the dispersal sale of the Michael Banfield collection. This machine served alongside my Dennis FA1075 at the Bass Brewery for 40 years. 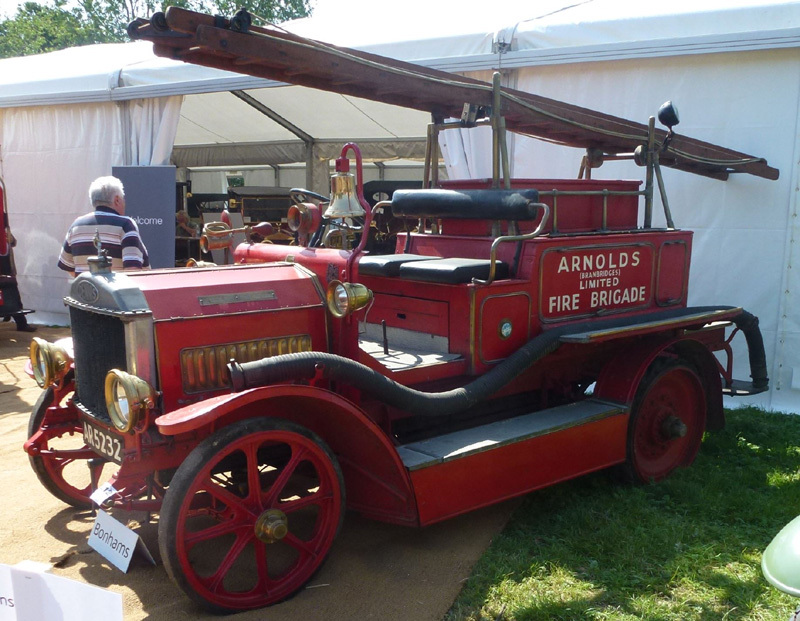 From the same source came the 1914 Dennis 'N' Type AR5232. This is a very unusual lightweight Dennis. Two Merryweather trailer pumps also joined the team. 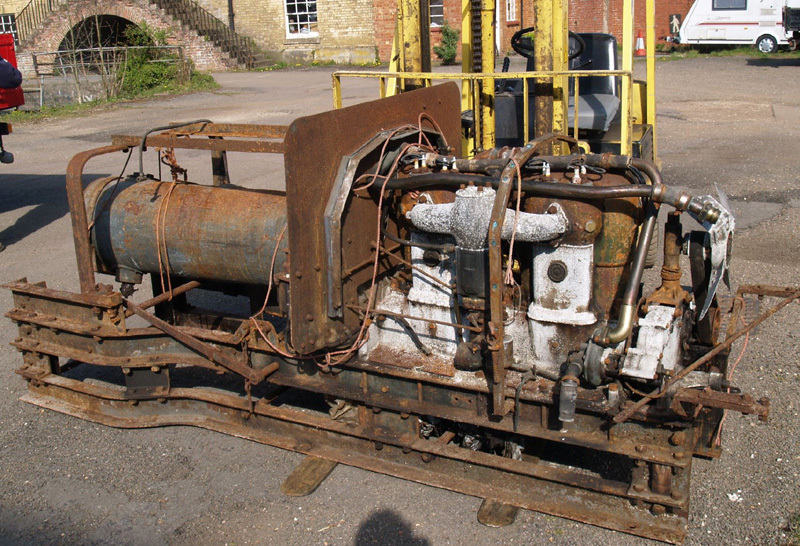 These have 3 cylinder piston pumps rather than a turbine as favoured by Dennis. Piston pumps need pressure vessels to damp out the pulsations. Finally just to prove you don't have to be shiny and red to join the team, the only known surviving example of a 60HP WW1 type Dennis Trench Pump headed north. Following the closure of the Dennis Woodbridge Hill factory in 1991 all the factory archives were transferred to the Surrey History Centre. The factory meticulously recorded all of their appliance production and original factory photographs exist for many appliances. 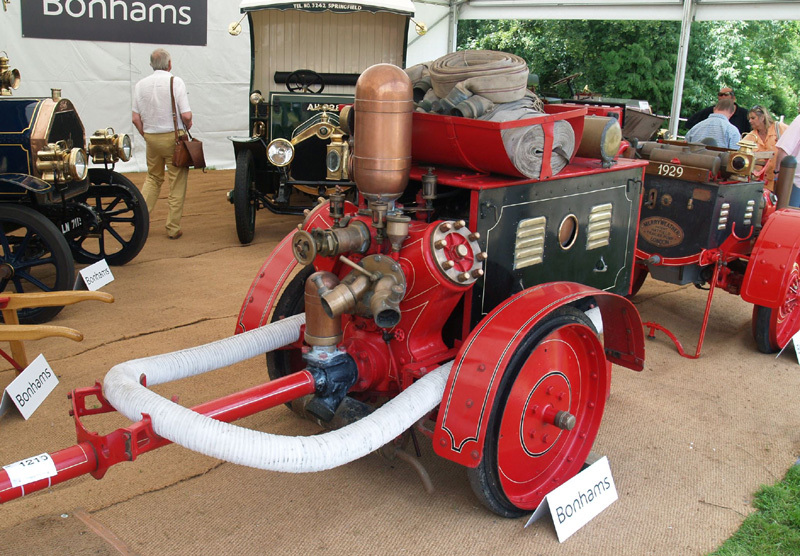 Many of the Dennis drawings and photographs have now been catalogued by the Surrey History Centre. The catalogues may be downloaded by using the following link. The new Dennis factory is still in Guildford on the Slyfield Industrial Estate.